A Whisky from a First Fill Bourbon Barrel which has taken in almost 21 years of intensive aroma from this small cask and has the typical character traits in which the characteristics of the typically fruity Braeval-Whisky are perfectly and impressively united. The vanilla dominates, it is omnipresent but doesn´t superimpose in this multi-layered and rich Single Malt. The alcohol content is noticeable but not unpleasant – a drop of water ensures a real explosion of flavour. 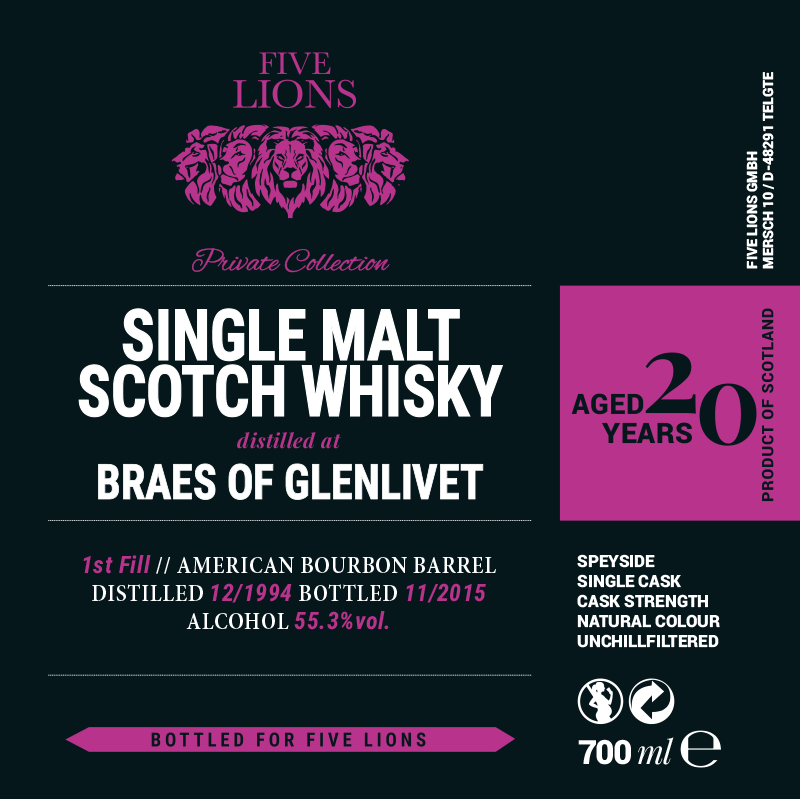 In the year 1995 – one year after the distillation of this whisky – the distillery was renamed “Braeval” to avoid being mistaken with The Glenlivet.